Last Updated on October 1, 2014. These updated Terms of Service are effective immediately for those with pre-existing accounts and those registering accounts after October 1, 2014. THESE TERMS AND CONDITIONS OF SERVICE (the “Terms”) ARE A LEGAL AND BINDING AGREEMENT BETWEEN YOU AND ALLERGYEATS, LLC (“AllergyEats”). Please review the Terms carefully and completely before you continue to use the Site and/or Mobile App. If you do not agree with any of the Terms’ provisions, please discontinue using the Site and the Mobile App. 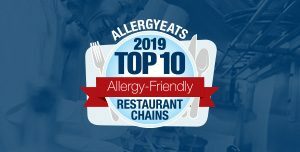 The purpose of AllergyEats, LLC, the Site, and the Mobile App is to provide a guide to allergy-friendly restaurants and businesses. AllergyEats does not guarantee that any of the information provided on the Site and/or Mobile App is accurate or complete. 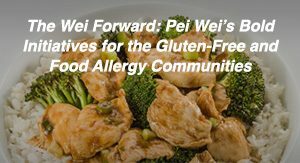 The Site and the Mobile App provide a guide only that is in no way meant to be a replacement for contacting a particular restaurant or business to inquire about the ingredients, policies, and procedures it uses with respect to your unique allergy needs and other issues including intolerance. 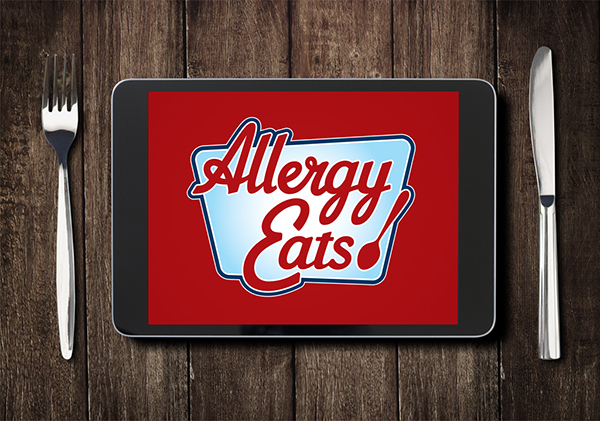 Further, AllergyEats does not guarantee nor does it confirm that the restaurants and businesses associated with the Site and the Mobile App use adequate processes or other safeguards to prevent cross-contamination of allergens or other food products. AllergyEats also does not guarantee nor does it confirm the safety of food items for certain allergies. AllergyEats.com and its Mobile App do not offer medical advice. Information provided on this Site and the Mobile App is provided to you for informational purposes ONLY. None of the information provided is intended to diagnose, treat, cure, or prevent any disease. It is not meant to be a substitute for the professional and personal advice provided by your own physician or dietitian. Always consult your doctor or other qualified health care professional if you have any questions about a medical condition, or before taking any drugs or nutritional supplements, changing your diet or commencing or discontinuing any course of treatment. Never disregard professional medical advice or delay seeking medical attention because of something you read on the Site and/or the Mobile App. 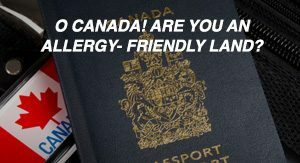 Always verify the safety of any food products with respect to your unique allergy(ies) or intolerance(s) by contacting the particular restaurant and/or manufacturer to make sure that the foods are safe for your consumption. It is and remains your responsibility to evaluate the accuracy, completeness, and usefulness of the information provided on the Site and the Mobile App. Statements and opinions expressed on the Site and the Mobile App should be viewed and used cautiously, and should be considered as an opinion of the individuals who expressed them, and not the view, ideas, opinions, or advice of AllergyEats. Information and statements provided on the Site and the Mobile App have not been evaluated by the Food and Drug Administration. Upon completing the registration process, you shall receive confirmation of a password and user name. You and you alone are responsible for maintaining the confidentiality of your password and your user name, and you are fully responsible for all activities that occur under your password or user name. DEFEND, INDEMNIFY, and HOLD HARMLESS AllergyEats from any loss or damage arising from unauthorized use of your password or user name. Modifying such data to conform and adapt to technical requirements of connecting networks or devices. By registering for the Site and/or Mobile App, you consent to initially receiving periodic emails from AllergyEats. If you would like to unsubscribe from automatically receiving emails from AllergyEats, please follow the directions to SafeUnsubscribe at the bottom of any of the emails you receive from AllergyEats. We may link to, or promote, websites or services from other companies, including restaurants. You agree that we are not responsible for examining or evaluating the content of their websites, and we do not warrant, in any express or implied way, the offering of any of those businesses or individuals, and do not control, those web sites or services. Furthermore, AllergyEats is not liable for any loss, damage, liability or expense that may accompany or result from linking, any delays, inaccuracies, errors or omissions therefrom or in the transmission or delivery of all or any part thereof or any damages including but not limited to, any computer virus; technical, hardware or software failures of any kind; lost or unavailable network connections; or failed, incomplete, garbled or delayed computer transmissions arising from any of the foregoing. Once you leave AllergyEats’s website or its Mobile App services and link to an external site and/or other mobile application or other service, the AllergyEats linking and other policies no longer apply and you will be subject to the new site’s policies. You should carefully review their privacy statements and other conditions of use. AllergyEats is not responsible for any personal injury, loss, claim or damage arising from an allergic reaction or other medical ailment that results from information received and relied on from any site. AllergyEats owns the content of the Site. All of the content featured or displayed on the Site and Mobile App, including, but not limited to, still images, text, pictorial works, video images, still images of video, graphic designs, audio recordings, multimedia combinations (“Content”) is owned or licensed by AllergyEats. Advertisements for third-party entities are not considered Content for the purposes of this section. However, these advertisements are owned or licensed by their respective third-party entities and are subject to protections similar to those set forth in these Terms. That by posting or submitting any text or other materials to the Site you grant AllergyEats a royalty-free, transferable, permanent license for the worldwide use and/or sublicense of such materials on the Site and Mobile App and permission for users of the Site and Mobile App to download the material for personal noncommercial use. A statement by you, made under penalty of perjury, that the above information in your notice is accurate and that you own the copyright or are authorized to act on the copyright owner’s behalf. THE SITE AND THE MOBILE APP AND ALL INFORMATION, PROGRAMS, PRODUCTS, AND MATERIALS CONTAINED IN OR ACCESSED ON THE SITE AND THE MOBILE APP, INCLUDING, WITHOUT LIMITATION, THE SERVICES PROVIDED AND THE CONTENT, ARE PROVIDED TO USER ON AN ‘AS IS’ BASIS AND WITHOUT EXPRESS OR IMPLIED WARRANTY OF ANY KIND. ALLERGYEATS DISCLAIMS ALL WARRANTIES, EXPRESSED OR IMPLIED, WITH RESPECT TO THE SERVICES PROVIDED, THE SITE, THE MOBILE APP, THE CONTENT AND RELATED MATERIALS PROVIDED HEREUNDER INCLUDING, WITHOUT LIMITATION, ANY WARRANTY OF ACCURACY, MERCHANTABILITY, FITNESS FOR A PARTICULAR PURPOSE, NON-INFRINGEMENT OR ARISING FROM A COURSE OF DEALING. Therefore, you agree that you must evaluate and bear all risks associated with use of the Site and the Mobile App, including those risks associated with reliance on the accuracy, thoroughness, or utility of any Content. You acknowledge that due to the immediate nature of this medium, AllergyEats does not review, censor, approve, edit, or endorse information placed on the Site by its users, and cannot guarantee that inappropriate material will not be posted. AllergyEats will review user postings from time to time and at intervals that it, in its sole discretion, deems appropriate and will take steps to remove inappropriate postings that come to its attention. USE OF THIS SITE AND ANY EXTERNAL CONTENT IS SOLELY AT YOUR OWN RISK. ALLERGYEATS MAY NOT BE HELD LIABLE FOR ANY DAMAGES ARISING OUT OF OR RELATED TO YOUR USE OF THIS SITE OR YOUR USE OF ANY THIRD PARTY SERVICES, GOODS OR CONTENT. IN NO EVENT SHALL ALLERGY EATS BE LIABLE FOR ANY INJURY, LOSS, CLAIM, DAMAGE OR ANY SPECIAL, EXEMPLARY, PUNITIVE, INCIDENTAL OR CONSEQUENTIAL DAMAGES OF ANY KIND, WHETHER BASED IN CONTRACT, TORT OR OTHERWISE, WHICH ARISES OUT OF OR IS ANY WAY CONNECTED WITH (I) ANY USE OF THE SERVICES PROVIDED, THE SITE OR THE CONTENT OR (II) THE PERFORMANCE OR NON-PERFORMANCE OF ANY RESTAURANT OR BUSINESS IN CONNECTION WITH THE SERVICES PROVIDED. ALLERGYEATS IS NEITHER AN AGENT OF NOR IS CONNECTED WITH ANY AFFILIATED RESTAURANT OR BUSINESS THAT IS LINKED TO OR OTHERWISE PROMOTED IN CONNECTION WITH THE SITE. 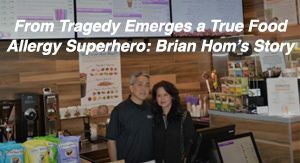 ASIDE FROM THE SERVICES PROVIDED ON THE SITE, ALLERGYEATS IS NOT LIABLE FOR ANY INJURY, LOSS, CLAIM, DAMAGE OR ANY SPECIAL, EXEMPLARY, PUNITIVE, INCIDENTAL OR CONSEQUENTIAL DAMAGES OF ANY KIND, WHETHER BASED IN CONTRACT, TORT OR OTHERWISE, WHICH ARISES OUT OF OR IS IN ANY WAY CONNECTED WITH A USER’S VISIT TO AN AFFILIATED RESTAURANT OR BUSINESS. AllergyEats wants to encourage an open exchange of information and honest reviews, but AllergyEats cannot and does not review every posting made in blogs, message boards and other public posting areas of the Site and Mobile App. You can expect these areas to include information and opinions from a variety of individuals and organizations other than AllergyEats and its agents or representatives. AllergyEats neither endorses nor guarantees the accuracy of ANY posting, regardless of whether the posting comes from a user or from a member of its staff. There is absolutely no substitute for healthy skepticism and your own good judgment and it remains your responsibility to exercise both. If you choose to rely on any of the information contained in the postings on the Site or the Mobile App, you do so at your own risk. Responsibility for what is posted in chat rooms, forums, and other public posting areas on the Site and the Mobile App lies with each individual user: YOU ALONE ARE RESPONSIBLE FOR MATERIAL YOU POST. Post or transmit through the Site and/or Mobile App, any material or text which constitutes advertising or solicitation with respect to any product or service, unless expressly authorized in writing by AllergyEats to do so. Gather any or all of the user email addresses posted in AllergyEats blogs, message boards, or other public posting areas on the Site and/or Mobile App these email addresses for the purposes of spamming (sending unsolicited email). While AllergyEats cannot and does not monitor all the postings in the blogs, message boards, and other public areas of the Site and the Mobile App, AllergyEats expressly reserves the right (but assumes no obligation whatsoever) to delete, move or edit any postings that come to its attention that AllergyEats, in its sole discretion, considers unacceptable or inappropriate, whether for legal or other reasons. AllergyEats will not, in the ordinary course of business, review private electronic messages that are not specifically addressed to it or members of its staff. However, AllergyEats will comply with any applicable legal requirements regarding disclosure of such messages to others, including law enforcement agencies. You will not circumvent or disable any security or data-protection measures implemented by AllergyEats. Submitting material that is the property of another, without the consent of its owner, is not only a violation of this agreement, but may also subject you to legal liability for infringement of copyright, trademark or other intellectual property rights. Any conduct by any user that, at the discretion of AllergyEats, restricts or inhibits any other user from using or enjoying the Site will not be permitted. AllergyEats reserves the right to refuse access to the Site to any user for any reason, including, without limitation, a reasonable belief that the user in question has violated these Terms or any of the copyright or trademark laws of the United States. CAUTION: ANY ATTEMPT BY ANY PERSON TO DELIBERATELY DAMAGE THE SITE IS A VIOLATION OF CRIMINAL AND CIVIL LAWS. SHOULD SUCH AN ATTEMPT BE MADE, ALLERGYEATS RESERVES THE RIGHT TO SEEK DAMAGES FROM ANY SUCH PERSON TO THE FULLEST EXTENT PERMITTED BY LAW. YOU AGREE TO INDEMNIFY, DEFEND, AND HOLD HARMLESS AllergyEats; its affiliates and partners; and their respective officers, directors, employees, agents, members, licensors, representatives, and third party providers to the Site and the Mobile App from and against all losses, expenses, damages and costs, including reasonable attorneys’ fees, resulting from any violation of these Terms. AllergyEats reserves the right to assume, at its sole expense, the exclusive defense and control of any matter subject to indemnification by you, in which event you will fully cooperate with AllergyEats in asserting any available defenses. This Agreement and the rights granted and obligations undertaken hereunder may not be transferred, assigned or delegated in any manner by you, the user, but may be so transferred, assigned or delegated by AllergyEats, LLC. This Agreement is made under and shall be governed by and construed in accordance with the laws of the Commonwealth of Massachusetts, without regard to any choice of law provisions. Both AllergyEats and you (the “Parties”) hereby consent to the jurisdiction of the state and federal courts located in Suffolk County, Massachusetts.